NAMM (Booth #7800), ANAHEIM, Calif.—AKG by HARMAN today announced the new AKG P5i high-performance dynamic vocal microphone. AKG P5i is the first microphone designed to automatically configure with the new HARMAN Connected PA system (also announced today), providing effortless set up, instant recallof performer and presets, and great sound for musicians of all skill levels. 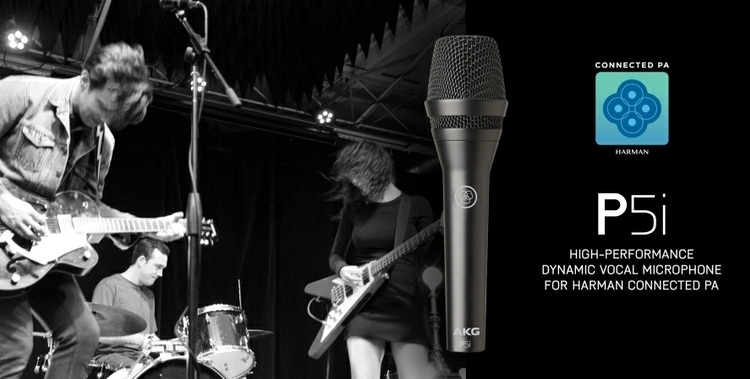 Based on the acclaimed AKG P5 dynamic vocal microphone, AKG P5i delivers powerful sound for lead vocals.A supercardioid polar pattern ensures extremely high gain before feedback and suppresses ambient noise, even in loud venues. The heavy-duty metal body construction is designed to withstand tough stageperformances, and an integrated windscreen efficiently eliminates pop and wind noise. AKG P5i is part of the HARMAN Connected PA family of products, and offers full compatibility with the new HARMAN Connected PA app (available Q2 2017) for easy control, fast setup and better-quality results.Connected PA eliminates the need for multiple apps or graphic user interfaces (GUIs) and delivers seamless plug-and-play operation with a variety of HARMAN equipment so users can control their entire live soundsystem with one app. Products within the Connected PA system self-identify with the new app for effortless setup, and setup wizards help customers to quickly optimize volume, configuration settings and sound quality. 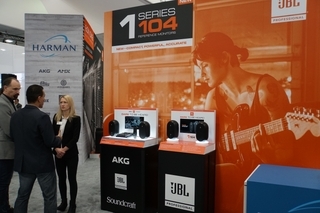 The Connected PA product ecosystem is enabled via HARMAN’s ioSYS technology and initially includesequipment from Soundcraft, JBL, dbx and AKG, allowing musicians to create systems that suit their specificneeds. Additional HARMAN equipment can be added to increase performance flexibility and meet the demandsof future growth. 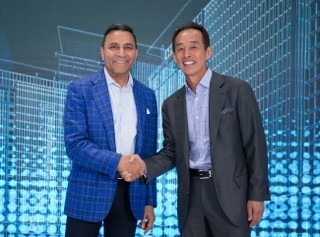 HARMAN Professional Solutions plans to add many new products to the Connected PA system to providemusicians with greater versatility and adaptable performance. The AKG P5i microphone will be available through authorized resellers starting in February 2017. For moreinformation, please visit here.